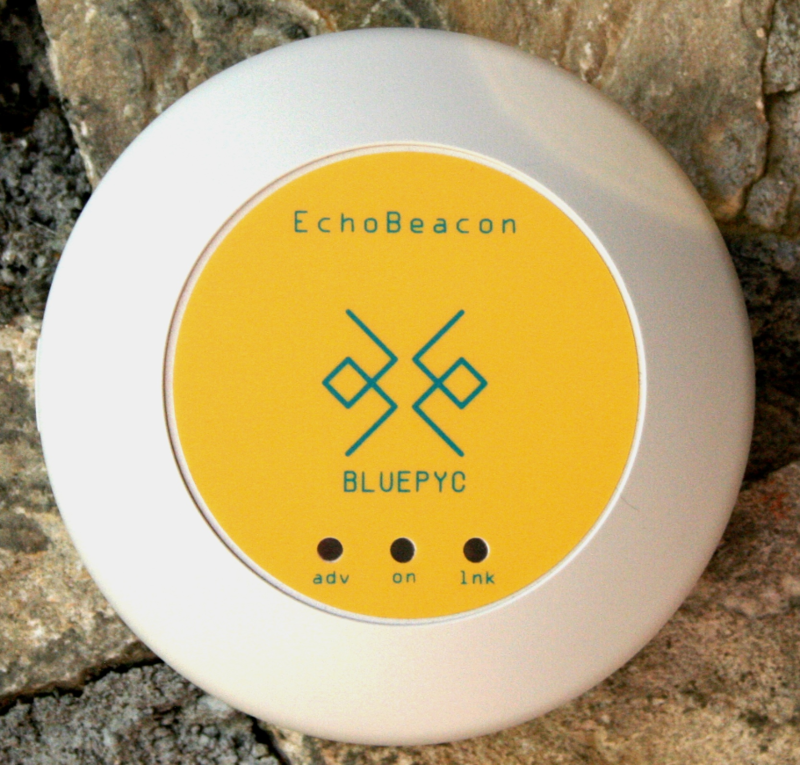 EchoBeacon Repeater is a low cost device to implement micro localization & change of position of people & objects wearing Bluetooth Low Energy Beacons. EchoBeacon receives Beacon’s data linked to person/item and retransmit the collected data to the BLE Gateway, distance up to 100m. Operation frequency is 2.4 GHz. It compliant to IEEE Standards: 802.15.1 (Bluetooth 4.x Low Energy). Standard Firmware Feature: EchoBeacon ID (2 byte); anti-collision (up to 12 Beacons reading); read Beacons Advertising & RSSI; BLE notification; filtering on beacons mask & RSSI Level. Adjustable parameters through BLE service: EchoBeacon ID, Reading Time, Transmission Time, Watch Dog Time, filtering parameter (adv mask & RSSI), Transmission Power (16 step). ABS (UL 94 HB). Protection class IP 40. Dimensions (H x W x D): 110 x 110 x 56 mm. Input: 3 x Digital Input. Output: 2 x output relays, 3 x LEDs. Power Supply 12-24 Volt DC (not included).